How To Create Frames using Facebook Camera Effects Platform – Facebook New Feature Jiska Aajkal Bahut Craze Bana Hua Hai Wo Hai Facebook Profile Picture Frame Campaign Jisme Facebook Frames Or Camera Effects Ka New Features Launched Hue Hai, Aapne Bhi Aapne Facebook Profile Picture Me Facebook Frames Add Kiye Hoge Ab Aap Bhi Aasani Se Kisi Bhi Brand Ki Facebook Profile Picture Frame Create Kar Sakte Hai, Yeh Aapki Dp Ko Interesting Bana Deti Hai. Normally Facebook Profile Picture Frame Ko Use Karke Hum Kisi Bhi Brand Or Kisi Community Ke Liye Pride Or Support Dikha Sakte Hai, Isse Aap Aapni Team Ya Jisko Support Karte Ho Uska Frame Aapni Profile Photo Me Add Karke Pride Show Kar Sakte Hai, Facebook Frames Kaise Banaye Kya Aapko Pata Hai Mujhse Bahut Sare Logo Ne Ki Facebook Frames Kaise Banau? Aap Aapke Question Ka Answer Yahi Par Dene Wala Hu. Snapchat Feature Me Aap Frame Laga Sakte Hai Ussi Tarah Aap Facebook Photos Or Video Frames Lagakar Unko Interesting Bana Sakte Ho, Facebook Profile Picture Frame Kaise Create Kare Step By Step Guide In Hindi Matlab Ki Me Aapko Is Article Me Aapka Jyada Time Waste Na Karte Hu Aapko Sidha Khud Ka Facebook Profile Picture Frame Create Kaise Kare Batauga. Me Aapko Bata Du Iska Koi Frame Make Ya Frame Creator Tool Nahi Hai Hum Isko Simple Steps Me Laga Sakte Hai Har Roj Pata Nahi Kitne Frames Facebook Approved Karta Jisko Aap Jaise User Submit Karte Hai Me Aapko Submit Facebook Frame Ke Bare Me Bhi Batauga Pahle Jaan Le Ki Dp Par Frame Kaise Lagaya Jata Hai. Facebook Par Frame Lagate Time Aap Usme Time Limit Add Kar Sakte Hai Jaise 1 Hours, One Day, One Week Is Tarah Se Par Yeh Feature Keval Desktop View Me Show Hota Hai, Isse Facebook Profile Picture Frame Temporary Time Tak Lagakar Time Limit Set Kar Sakte Hai. Sabse Pahle Aapne Mobile Se Facebook Frames Link Par Jaye, Dhayan Rahe Aapka Account Login Hona Chahiye Jis Browser Me Aap Yeh Process Kar Rahe Ho. Ab Aapki Screen Par 2 Options Hoge Unko Kuch Is Tarah Se Use Karna Hai. 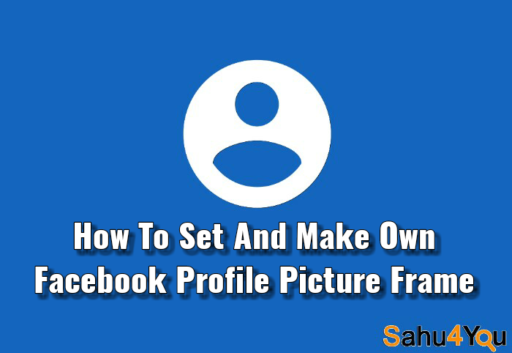 Add Frame – Is Frame Add Karne Ke Option Par Jakar Aap Koi Bhi Particular Frame Choose Kar Sakte Hai Ya Search Karke Usko Aapne Facebook Profile Picture Frame Set Kar Sakte Ho. Change Picture – Agar Aap Kisi Old Uploaded Or Tagged Photos Ko Frame Effect Dena Hai Matlab Old Photo Par Frame Lagana Chahte Ho To Yeh Option Aapke Liye Helpful Hai. Iss Tarah Se Aap Facebook Profile Picture Frame Aapni Profile Picture Par Set Kar Sakte Hai, Kya Aap Khud Ka Facebook Frame Banana Chahte Hai? To Niche Facebook Frames Banane Ka Simple Hindi Tarika Batauga. Photo Frame Banakar Usko Facebook Par Submit Karna Bahut Hi Aasan Hai, Aap Aapne Favorite Photo Editor Tool Se Transparent PNG File Banana Hai, Mobile User PicsArt, Phonto & Iconic Android Application Ki Help Se Kar Sakte Hai Me Khud Mobile User Hu To Aapne Experience Se Aapko Guide Kar Raha Hu. Ab Aapko Ek PNG Frame Banana Hoga Jiske Liye Aap Aapne Favorite Photo Editor Ka Use Kare, Adobe Photoshop Acha Editor Tool Hai. Jab Aapka Frame Design Ho Jaye Tab Aap Usko Transparent Banaye Or PNG Extension Me Save Kare Aap Yeh Photoshop Ke Slice Tool Ki Help Se Kar Sakte Hai. Aapne Frame Bana Liya Ab Bari Aati Hai Usko Facebook Par Submit Karne Ki Jisse Facebook Usse Approved Karega Or Aapka Frame Facebook Me Aa Jayega To Janiye Yeh Hoga Kaise? Uske Liye Facebook Camera Effects Link Par Jaye Or Niche Bataye Step Follow Kare. Yeh Desktop Mode Me Hoga Iske Liye PC Ya Pc Mode Me Aapne Browser Ko Use Kare Or Aapne Browser Me Jakar Facebook Me Login Kare. Ab Aapko Facebook Camera Effect Platform Par Jana Hai, Yaha Par Jakar Create A Frame Par Click Kare. Ab Yaha Par Upload Art Option Par Jakar Design Frame Upload Kare Jo Aapne Design Kiya Tha. Aapne Frame Ko Durg Karke Usko Sahi Position Me Set Kare Jisse Aapka Frame Achha Dikhe. Yaha Par Aapko Rotation, Zoom, Orientations Option Milegi Jisko Karne Ke Bad Next Par Click Kare. Next Page Par Aapko Frame Creator Details Filled Karni Hogi Uske Liye Frame Ka Name Or Frame Effect By Se Aapni Profile Ko Selected Kare Or Time Schedule Set Kare, Aap Frame Ko Search Karne Ke Liye Kuch Keywords Type Kare Or Next Button Par Tap Kare. Ab Aapki Frame Ka Preview Show Hoga Or Yaha Par Submit Karne Par Button Hoga Jispsr Aapko Click Karna Hai Is Tarah Se Aapka Frame Facebook Me Submit Ho Jayega. Submit Karne Ke Bad Wo Facebook Team Aapke Frame Ko 1-2 Din Ya Usse Jyada Time Me Uska Review Karega Or Agar Aapke Dwara Submitted Frame Facebook Standard Community Ke According Hai To Aapka Frame Active Ho Jayega, Facebook Camera Effect Manage Par Jakar Aap Aapne Frames Ko Management Kar Sakte Hai. Ekdm shi Ja raga hai bhai tu .. Thank you for helping all of us by posting ..